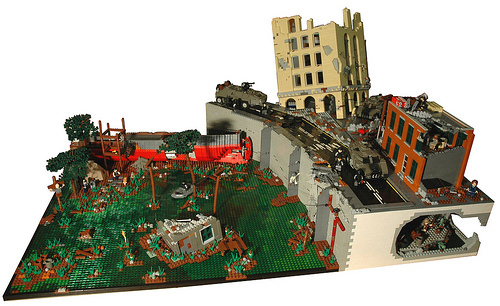 Ever since the post-apocalypse theme became popular in the LEGO building community, there have been many interpretations of how the world ends whether through military conflict or zombies. Some of the more exotic visions involve the settings of snow, swamp, and underground. Now, Julandrius and Eturior add a new element to ApocaLego – the flood. 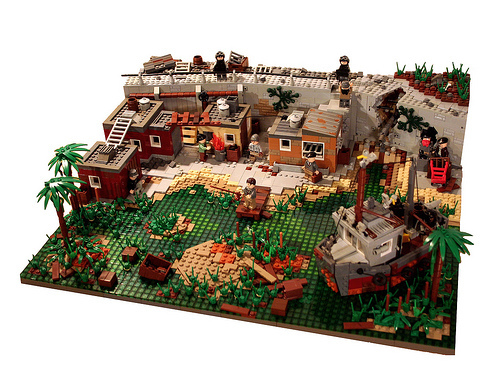 The sunken buildings and worn-down walls are catchy features of their dioramas.